We emailed you last night. Please check your email (spam & junk folders too) and respond, confirming that you will be able to attend, so that we could email you your ticket. Do this before 5pm today. Or we’d have to draw another name. Thank you! Have a great weekend everyone, and if you see me at the show tomorrow, please say hi! I know, it’s been such a long time. I am breaking my hiatus to bring you goodies! Actually, ‘goody’. This weekend, her hairyal hairness, Felicia Leatherwood will be shutting Lagos down along with Ngozi Opara, Nibi Lawson, Obia Ewah, Wunmi Akinlagun, Ijeoman Eboh, and Cassidy Blackwell! 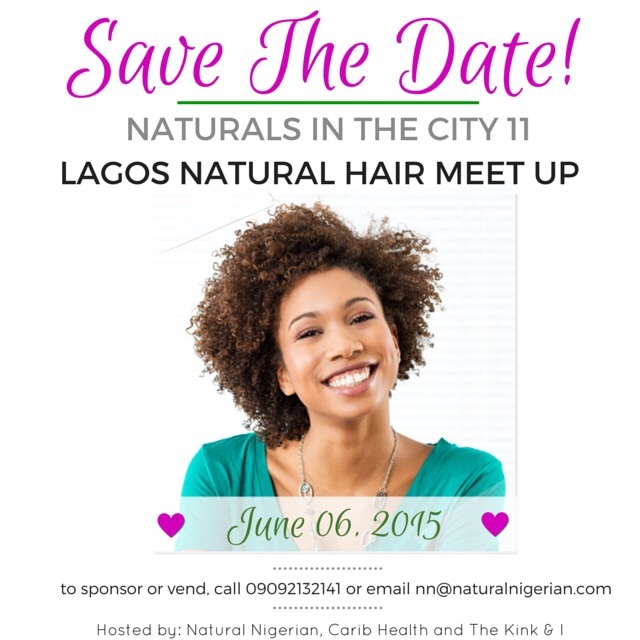 Because we love you beauts so much and are so grateful to have you, we will be sending one lucky, AVAILABLE lady to The Nigerian Natural Hair & Beauty Show on Saturday, May 16th!!! Get excited! What do you have to do to win this gold ticket (seriously, did you see how much those things are going for?)? 1. Be available this Saturday, May 16th. 2. 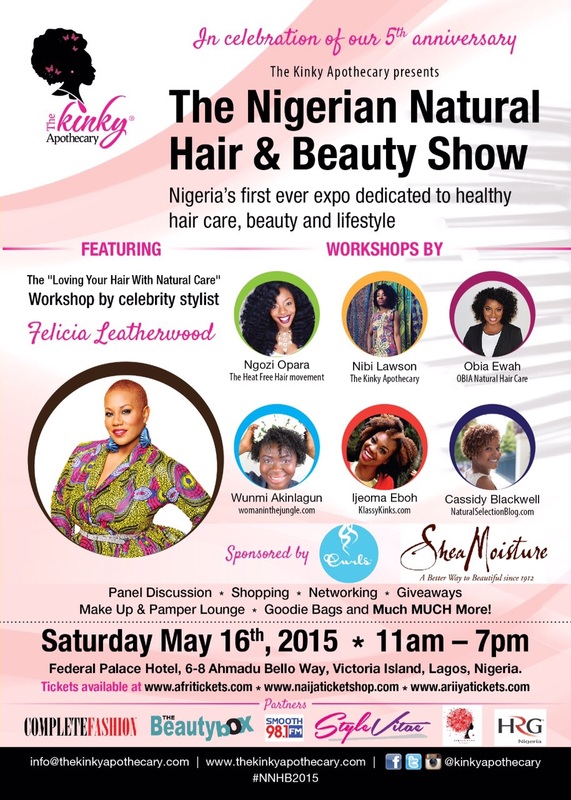 Be in Lagos Nigeria on Saturday, May 16th. 4. In the comments section under this post, leave your e-mail address and the words: No owambe on Saturday. This giveaway will close at noon (GMT + 1) on Thursday, May 14th. The winner will be announced on the same day, right before AB and I settle down to watch the season finale of Scandal. If you don’t get to go to this event on Saturday, remember that the first week of June is almost here with another amazing event to anticipate. It’s NITC 11, people! Alrighty beauts, comment! comment!! comment!!! E fit be you ooooooo. P.S: I am too bummed that I will not be able to attend this event so if you win this ticket and you don’t go to the event, I. Will. Hunt. You! Please, please, please, if you win this ticket and your plans change, let us know ASAP so that we can draw another winner in good time. 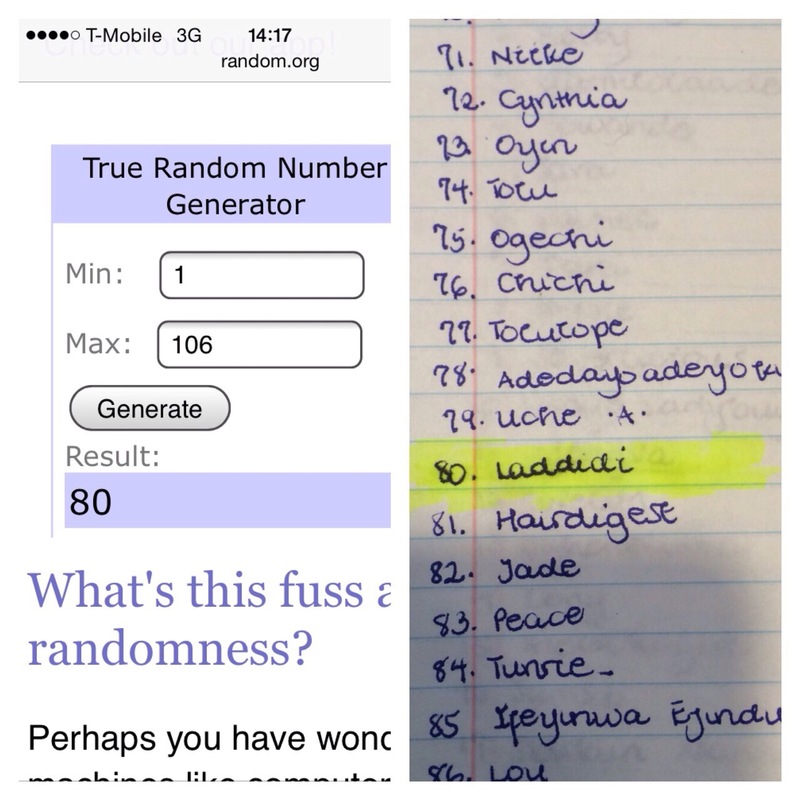 12 days and 106 entries later, we have a winner in our Big Fat Giveaway!! Please send your deets to us at thekinkandi@gmail.com Kindly send your address, with any helpful additional descriptions and your phone number.